Monster Rancher 2 is the second North American and Japanese (where it is known as Monster Farm 2) installment in the Monster Rancher series. 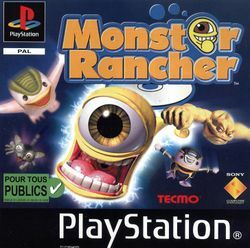 In Europe (and other PAL locations) Monster Rancher 2 is the first release in the series and is thus named Monster Rancher. This game involves raising, fighting, and breeding monsters. The main character is never seen on screen and never talks to anyone directly. Instead, all of the dialog and action is done by the trainer's assistant Colt and her toucan Joy. The player chooses his actions and choices through menu options. This page was last edited on 11 May 2016, at 18:16.